How does a photographer learn to see? How does he create his own visual language—as unique as a fingerprint and as inimitable as the voice of a great writer? The photographs in Iluminaciones were taken all over the world, from the vast expanses of America’s desert Southwest to a mosque in Turkey and temples in Laos, Burma, and Japan, of colorful streets in Mexico and Italy to quiet swimming pools in Southern California, from monumental urban landscapes in Eastern Europe to clouds forming over Ireland and Maui. Most of the pictures are of simple, commonplace things that we might not give a second glance. Yet Parsons did and in so doing both reveals and celebrates the subtle power and quiet beauty of the everyday. Complemented by the artful commentary of Frederick Turner, Iluminaciones is a stunning visual exploration of the beauty that shines through our world if we take the time to stop and look. 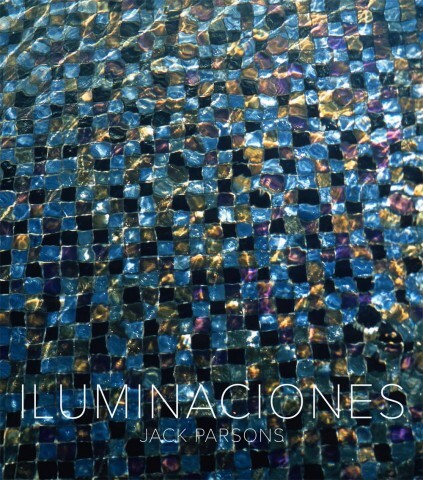 Jack Parsons is well known for his elegant photography that captures the visual heritage of the American Southwest. His sixteenth and most recent book is Dark Beauty (available from George F. Thompson Publishing). In recognition of his contributions, he was honored in 2006 with the New Mexico Governor’s Award for Excellence and Achievement in the Arts. He lives in Santa Fe. Frederick Turner is the author of twelve books of fiction and non-fiction, the latest of which is Henry Miller and the Making of ‘Tropic of Cancer‘ (Yale, 2012). The recipient of fellowships from the National Endowment for the Arts and the John Simon Guggenheim Memorial Foundation, he lives in Santa Fe.